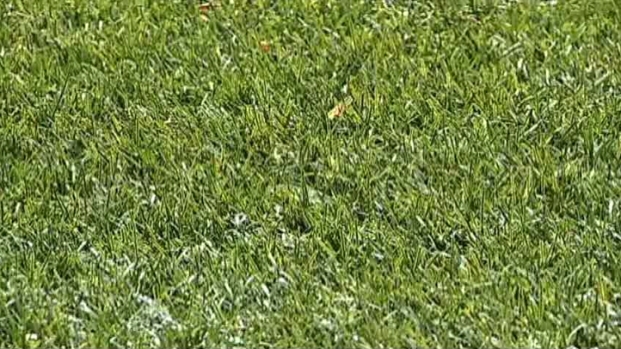 Synthetic grass companies say business has increased dramatically this summer as people turn to low-maintenance lawns. Artificial turf lawns need no fertilizer or water. "It's maintenance-free," Denton resident Tommy Thompson said. "You don't have to fertilize it, don't have to water it, and it's green year-round. My backyard is my paradise, oasis. I love sitting out here and knowing that I can look at a green yard and not have to do anything to keep it up." Business at Synthetic Grass Pros, a Lewisville company, is booming. The dry weather and water restrictions have pushed lawns to the limit. "More and more people are replacing their entire yards," company owner Tim Dvorak said. "We are replacing more front and back yards this summer than we have ever done." Dvorak said the synthetic grass is pet-friendly but not completely heat-resistant. "It does get warm," he said. "It stays the same temperature as concrete. In the direct sunlight, it can be an issue."